A new, all-electric injection moulding machine by FANUCis designed to provide precision parts manufacturers with faster, high-quality outputs. 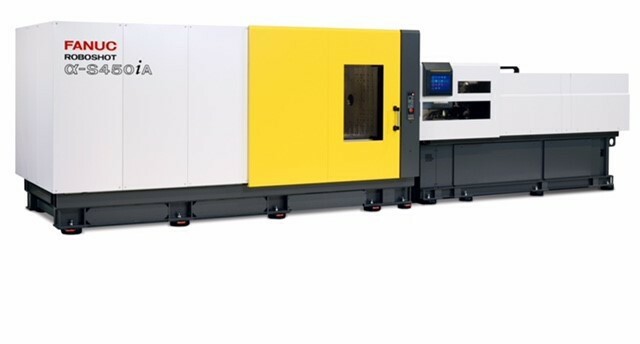 The ROBOSHOT α-S450iA, which will be exhibited at Fakuma 2018 in Germany this October, is the seventh and largest CNC-controlled injection moulding model produced by FANUC. It has been designed to increase production capacity for manufacturers in the medical and pharmaceutical device markets. The α-S450iA has a clamping force of 4500kN, which ca be increased to 5000kN, allowing it to be used for both precision and large projected area components. Platen dimensions at 1300mm square, and tie bar spacing of 920mm, allows both large single component, or increased cavitation precision moulds to be accommodated. The 900mm opening stroke also allows customers to produce a variety of components using stack moulds. The α-S450iA is also available in two injection unit sizes, to provide a broad range of screw sizes from Ø56mm to Ø100mm. This gives customers the scope and flexibility to manage a wide range of shot volumes up to 2,827cm3. The expansion of the machine range will also open new opportunities for FANUC in its traditional markets. For example, the α-S450iA can facilitate larger mouldings for external and internal trim parts used across the automotive industry, as well as enabling larger cavitation closure projects and containers requiring higher clamp tonnages for the packaging industry. It can also be used for general injection moulding applications which require larger surface areas and shot weight parts. As well as using FANUC’s renowned CNC controls, the ROBOSHOT can be upgraded with a range of intelligent add-ons to protect mould system components and increase the lifespan of the machine. Precise Metering Control (PMC) functions, for example, prevent any uncontrolled volume flow from occurring between the end of the plasticising process and the decompression of the mould.